In A Colony in a Nation, New York Times best-selling author and Emmy Award–winning news anchor Chris Hayes upends the national conversation on policing and democracy. 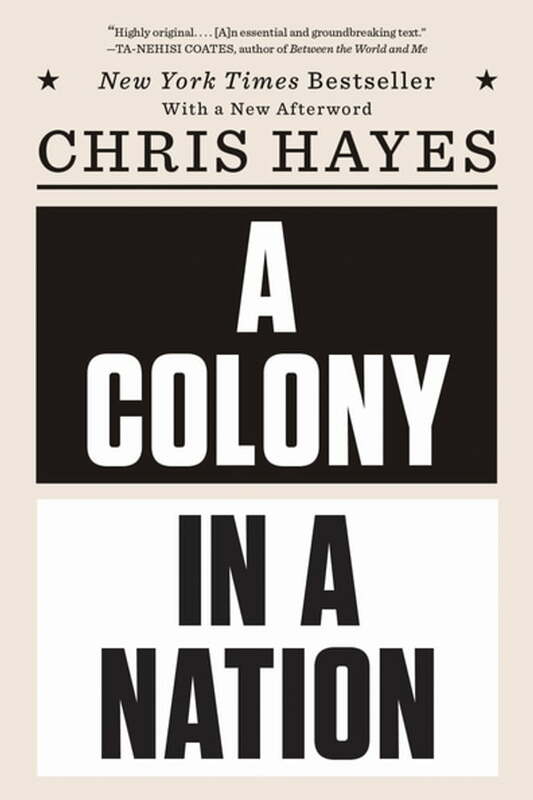 Drawing on wide-ranging historical, social, and political analysis, as well as deeply personal experiences with law enforcement, Hayes contends that our country has fractured in two: the Colony and the Nation. In the Nation, the law is venerated. In the Colony, fear and order undermine civil rights. With great empathy, Hayes seeks to understand this systemic divide, examining its ties to racial inequality, the omnipresent threat of guns, and the dangerous and unfortunate results of choices made by fear.